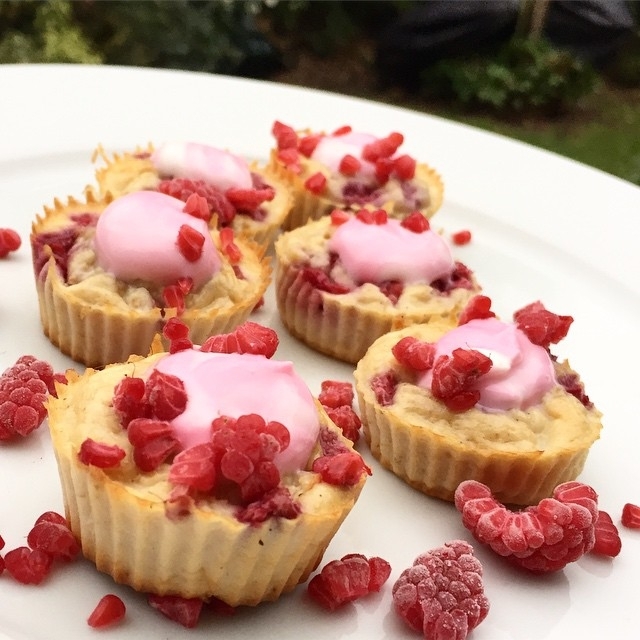 Mix 1/2 cup kodiakcakes , 1 egg, 1/3 cup steamed cauliflower for volume , 1/2 scoop vanilla whey , 1/3 cup frozen berries and enough water to make a batter consistency. Bake at 350 for 15-20 mins. Let cool and enjoy! Top with greek yogurt mixed with the raspberry juice from your berries!